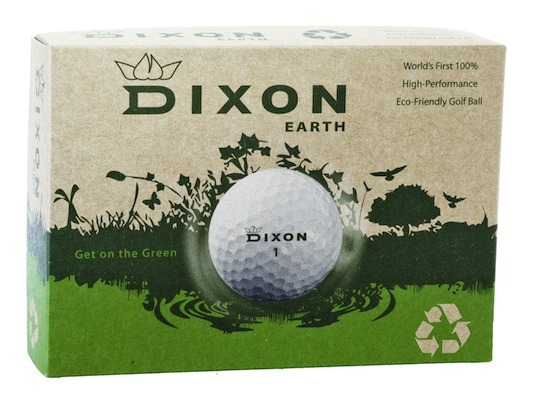 Dixon Earth culminates the efforts of top scientists to bring to you the first "Eco-Friendly" ball that actually performs on the course. The first 100% eco-friendly golf ball. Delivers the distance & spin of a high performance golf ball while being 100% recyclable. Second imprint location add: $4.00/dz. Pre-Production proof: $35.00 plus set-up charge. Standard production time: 5 business days, rush service available.